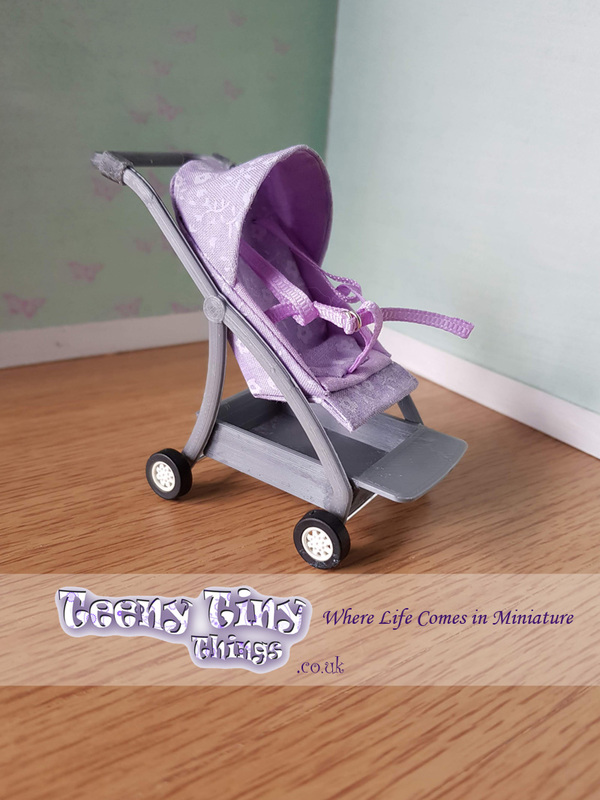 NEW single modern pushchair kit in 1/12th scale. 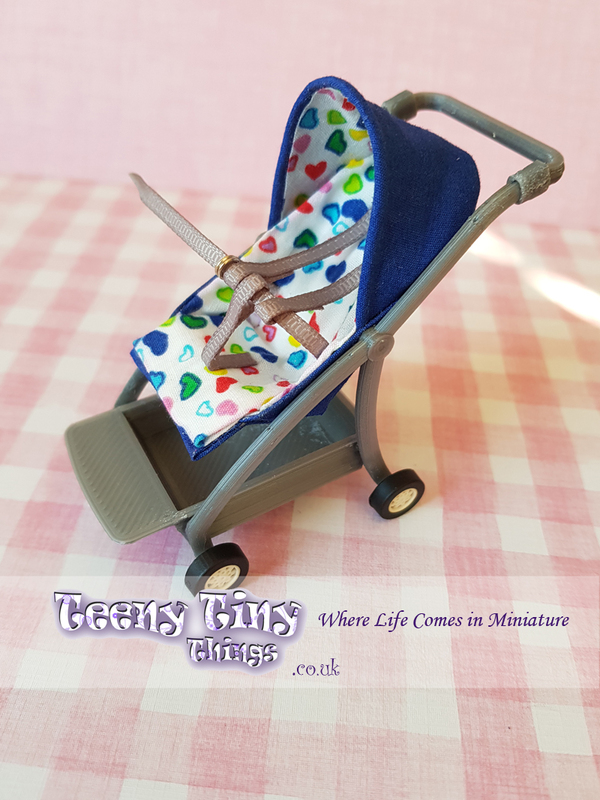 This kit will enable you to make a miniature 1/12th scale modern pushchair in the colour of your choice to match your dollhouse nursery. This kit is easy to construct and comes complete with fully lustrated instructions. 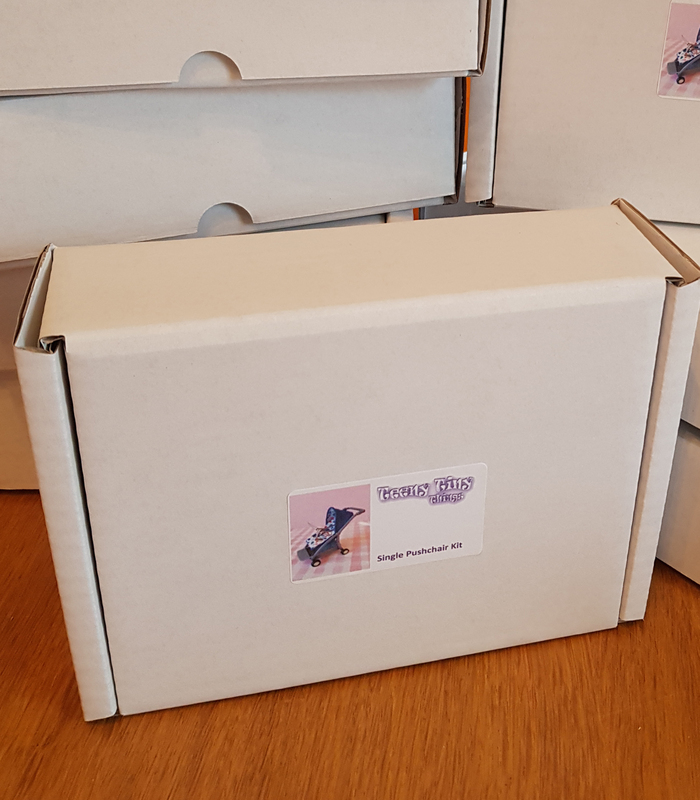 The kit contains the pushchair frame, shopping tray, wheels, seat template and harness ribbon. To complete the kit you will need some glue and a tiny scrap of fabric (paint is optional).